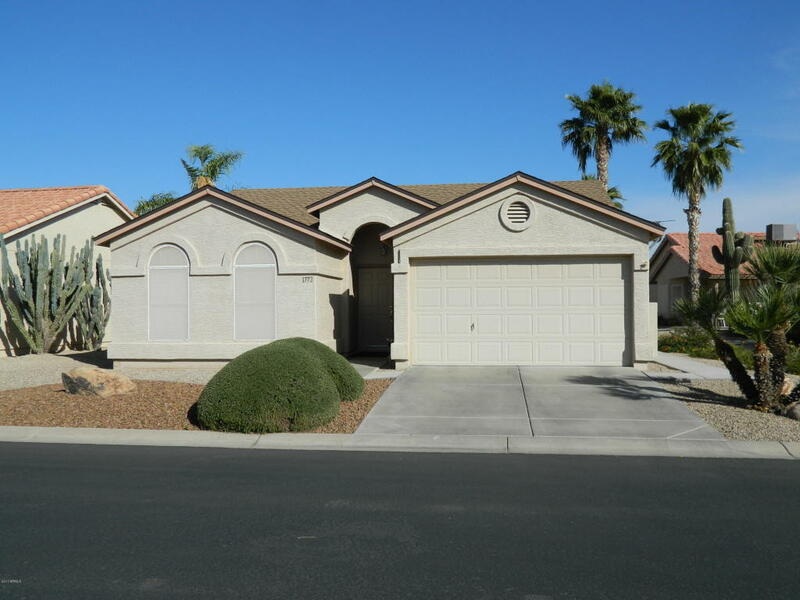 Don't miss out on the opportunity to purchase a completely renovated (2015) 2 bedroom, 2 bath home in the gated community of SUnbird. This home offers custom Diamond Signature soft close kitchen cabinets, granite counters in kitchen,master and guest baths water softener, new light fixtures through out, extended patio, Trane HVAC in 2006 all with a north/south exposure. Sunbird offers a great community center, golf, shuffle board, pickle ball, crafts and card playing for all. Restaurant and post office all in a gated community.